Governments around the world have been trying to work with the pharmaceutical industry to come up with (conventional) new ways to tackle the growing “superbug” problem. But an experimental new drug treatment regime touted as a potential solution for superbugs has been exposed as a complete failure, as those who receive it are five times more likely to develop serious infections than those who are treated the old way. Professor David Neal from the University of Cambridge and his colleagues at the school’s Addenbrooke Hospital evaluated 709 prostate cancer patients who were undergoing diagnosis surgery for their conditions. One group received the typical ciprofloxacin drug treatment, while the other received an experimental combination of co-amoxiclav and gentamicin, which are two types of antibiotics. Published in the British Journal of Urology, their study revealed that patients treated with co-amoxiclav and gentamicin have a 500 percent increased risk of developing serious infective complications compared to patients given the typical drug treatment. 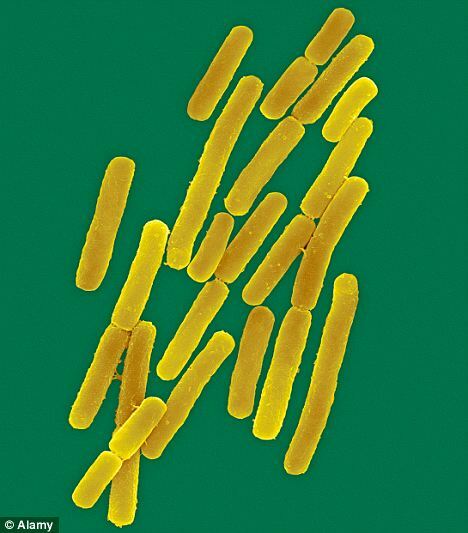 While only 2.4 percent of the 454 patients in the ciprofloxacin group developed infections, nearly 13 percent of patients in the co-amoxiclav/gentamicin group ended up developing infections - and nearly five percent from the latter group ended up back in the hospital with severe cases of sepsis or septic shock. “Any alteration to existing departmental antibiotic policies should be linked to strong clinical evidence,” commented Prof. Neal concerning the findings. The experimental switch was prompted by new UK government guidelines which purported that ciprofloxacin treatments were spurring increases in Clostridium difficile infections. While this is true, at least in part, the government’s unfounded “solution” is an embarrassing indictment of what happens when the drug industry is entrusted with finding fixes to the problems it played a role in creating. ...among the general population has been demonstrated as one of the primary causes of superbug proliferation. The overuse of antibiotics in agriculture to make livestock grow more quickly is another primary cause. New Drugs Used to Tackle Superbugs "Increase Risk of Infection"
New drugs used to tackle hospital superbugs can actually increase the risk of infection, researchers warn. After certain surgeries, the number of infections in patients given a new regime of drugs was higher than among those on the old regime, a study found. Of 709 patients undergoing a prostate cancer diagnosis operation, those given the new course of antibiotics to fight infections developed five times as many complications. These included a number of cases of sepsis, in which the blood is overwhelmed by bugs, and one case of septic shock needing emergency treatment to prevent heart failure. Professor Neal's team at Addenbrooke's Hospital, Cambridge, found that after a urological procedure to diagnose prostate cancer, only 2.4 per cent of the 454 patients treated with the standard drugs - ciprofloxacin - developed an infective problem. But 12.9 per cent given the new regime of prophylaxis with coamoxiclav and gentamicin developed an infection in the same period and twelve (4.7 per cent) were admitted for complications - seven of whom suffered sepsis and one septic shock. None of the patients on the original therapy had these very serious complications and re-introducing the original regime led to a fall in infective complications. 'The change, based on national guidance, reflected concerns C. difficile rates were being driven by the widespread use of broad-spectrum antibiotics such as ciprofloxacin. 'The new regime was introduced on the proviso that both the hospital-acquired infection rates and post-operative infection rates would be closely monitored. The researchers whose findings are published in the British Journal of Urology International said the antibiotic prophylaxis needs to reflect the local situation both in terms of the organisms encountered and the local C. diff rates. Any changes also need to be subject to frequent review. 'Even though the procedure - TRUSP Bx - is a common urological procedure there are currently no national guidelines regarding antibiotic prophylaxis and local protocols vary widely across the UK. 'However, the importance of using prophylaxis for a biopsy, to reduce the occurrence of infective complications following surgery, has been well documented. 'This is the first study to compare the use of co-amoxiclav and gentamicin with the use of ciprofloxacin for TRUSP Bx.